Famous for its thermal spring water and Georgian architecture, picturesque Buxton was founded by the Romans who called it Aquae Arnemetiae or Spa of the Goddess of the Grove. In more recent times, the fifth Duke of Devonshire put it on the tourist map with development in 1780s – the centrepiece being the remarkable Georgian Crescent. History and charm await you when you take a trip around this fascinating town. Discover the Pavilion Gardens, 23 acres of award-winning ornamental gardens including serpentine walkways, children’s play areas, lakes and a miniature railway. Fairs and markets are held here throughout the year, and there’s also an historic Winter Gardens conservatory linking the Opera House with the main complex. Not far away, the University of Derby’s Buxton campus is set under the Devonshire Dome. It’s the largest unsupported dome in Europe with a diameter of 174ft and is open to visitors all year round. There’s also the award winning Devonshire Spa offering a range of luxury spa and beauty packages, and don’t forget the wide variety of festivals, music and art events that take place every year, or the inviting pubs, restaurants and shops that can be found tucked away in every corner of this lovely old town. It also stands at the gateway to the Peak District National Park, providing a perfect base for visitors and holidaymakers. You can find lots of information, great ideas and places to visit, or see the links below. 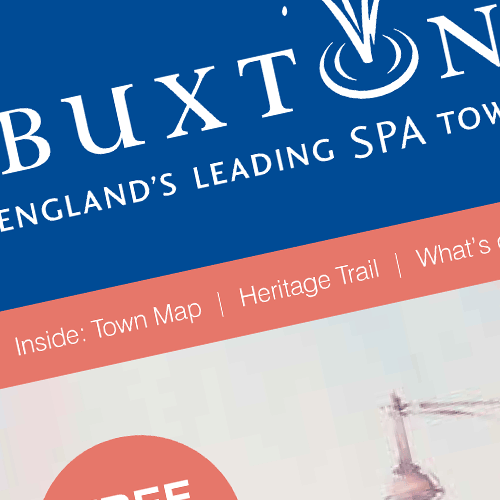 Buxton is known far and wide for its famous Georgian and Victorian architecture and its diverse music, theatre and festivals. Images kindly supplied by visitbuxton.